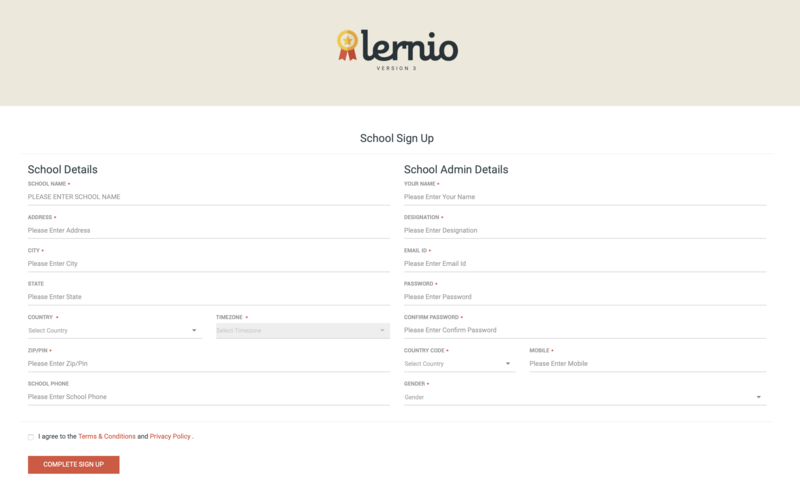 Before Lernio can be used by teachers and parents, it needs to be setup up by a designated School Admin. The school sign up needs to be done by a designated School Admin at the school who will be responsible for day to day management of the app at the school. The school admin will receive an email confirming the sign-up. Before Lernio can be used by the school it needs to be setup via the School Setup and Mobile App Setup sections in the Top Menu. The help articles on School Setup and Mobile App Setup can be found in the Lernio help center under Getting Started.